Chicago Cloud9 Limousine. Chicago Limo and Party Bus Service. Bachelor and Bachelorette Limo Packages. O'Hare Airport Town Car Service. Midway Airport Town Car Service. Round Trip to and from the prom, no stops on the way, no driving around. Hourly Service, minimum of 3 hours required, the hours can be Split, no charge while you're at the dance. One of our most popular and most booked limo package, Point A to Point B, no driving around, no stops in between. BYOB. Choose between a Stretch Limousine or a Party Bus for up to 30 passengers. 3 hours minimum required, consecutive hours. Package includes, unlimited stops and miles for the time of your rental, complimentary refreshments, water, soda and ice. Beer will be provided if everyone in the party is over 21. Choose between a Stretch Limousine or a Party Bus for up to 30 passengers. Deals and Discounts for different limos and packages posted every week. Click on the button below or on the picture to join. 1. Know the Type Of Event you are going to use the limousine for. All of our rates are based on the type of the event. Some of the events will require hourly rental and some events can be booked as a round trip service or Point to Point. Have the details of what you're looking for ready. Typically events that can be booked only as Hourly Limo Service are as follows: Chicago Weddings, Prom Limo, Tailgating Sporting Events, City Tours, Wine Tours. 2. Think about all the details before you call. 2. Know the number of passengers that will be attending your event before you call. This is how we will determine what type of Limo you will need, and we will provide you with a few options. You want to make sure that you will rent a limo large enough to comfortably accommodate your party. 3. Get the right Limo for the occasion. 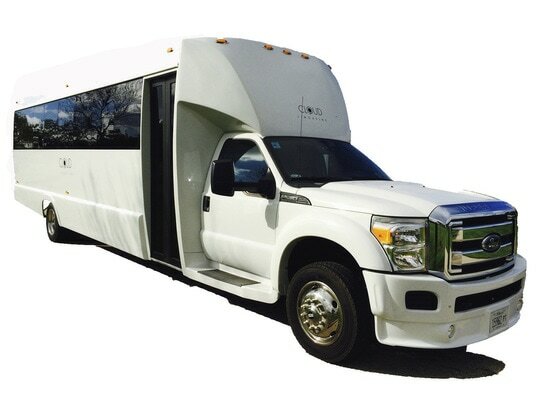 *Party Bus that can accommodate from 20 passengers up to 32 passengers. Always book your Chicago limo in advance especially for events like Weddings (book at least 8-12 month in advance), Prom Limo (book at least 2-3 months in advance). Booking in advance will guarantee availability and best rates. Booking your limo closer to your event might increase the rates due to availability. Not all Limousine Services are the same. Some companies advertise lower rates, price should not be the only factor in your search for a Limousine Service. Same as renting a hotel, different rates will give you a different service and experience. We at Chicago Cloud9 Limousine pride ourselves with one of the newest limousine fleet in Chicago and a reputable name. ​Our customers love us, and our online reviews prove it. Follow us on Google Plus for great deals and discounts.